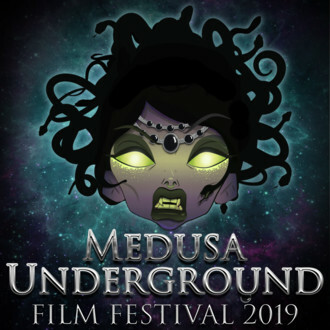 The Medusa Underground Film Festival had its inaugural run the weekend of January 11th, 12th, and 13th in Las Vegas, Nevada. The festival kicked off with a series of short films including the cell phone app horror Deathdate by Nicole Jones-Dion and the vibrant comedy Makeout Party by Emily Esperanza. 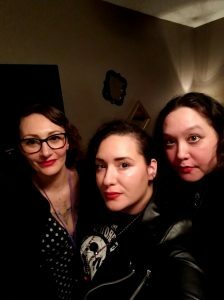 The opening kick off party included dark art themed vendors and live performances by songstress Dylan Mars and creepy burlesque artist Glitter Macabre. The rest of the festival screenings took place in the baroque meets art deco Artisan Hotel. The high styled theme hotel was the perfect setting for the mostly standing room only screenings. Festival highlights include Department of Reincarnation by Sophia Cacciola, Lovesick by Cassandra Sechler, RE-Agitator by Dylan Greenberg, Parlour Tricks by Tristan Risk as well as a variety of underground shorts, music videos, and trailers. 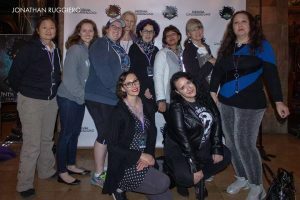 Also included in the festival were many networking and informational events including a social media seminar, a party bus tour, and a brunch hosted by Women in Media. Women in Media is a non-profit group dedicated to improving gender balance in the film and entertainment industries. 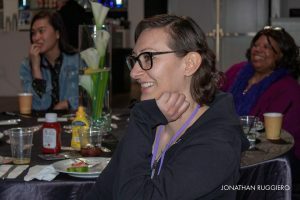 The brunch was included as a fun way for filmmakers to network and to get to know one another. More festival images can be seen at Jonathan Ruggiero’s website here. I can’t wait to submit a film or films for next year’s Medusa Film Festival!! I’m so glad to hear it was a great success this year!